The conditional media market in Ukraine has long been divided between the oligarchs. Some of media moguls still have direct ties with major Russian businesses — read “the Kremlin elite”. Therefore, starting from the early 2000s, top management reshuffles in Ukrainian TV channels and other media outlets have always been of genuine interest for experts both in Ukraine and beyond. A new owner of any broadcaster, especially of a top one, brings along a new vector of development and a new editorial policy, which is obvious, even more so for the news channels which number over the past period has long become excessive in Ukraine’s relatively small media market. These TV channels might not be as influential as, to say, the key players including Inter, 1+1 or ICTV, but they also shape up the agenda for the Ukrainian audience increasingly seeking to find an alternative to the old-school outlets. At first glance, the purchase by a Ukrainian MP Taras Kozak (Opposition Bloc) of the News One TV channel should not significantly change the broadcaster’s policy. After all, the channel has long been seen as oppositional, criticizing any steps the authorities take: achievements or failures. However, now that no one is hiding the channel’s ultimate beneficiary, Viktor Medvedchuk, a Ukrainian politician and a close person to the Russian President Vladimir Putin, a confident conclusion comes up: the broadcaster will turn from an opposition channel into yet another tool of Russian propaganda in Ukraine. The sale of the channel is just another castling made in an attempt to cover things up, especially against the backdrop of major criticism the channel is facing in Ukraine because of its outright pro-Kremlin stance. That is, Mr. Medvedchuk simply put his channel from one pocket to another, the one where Mr. Kozak dwells. Taras Kozak has long been in a spotlight of the Ukrainian political and media circles not because according to the Ukrainian media it’s a person who is suspected of major laundering, setting up corrupt schemes to help his family and friends’ businesses to bypass tax barriers and to make dirty money, it’s a person who is suspected of an attempt upon the life on his fellow legislator and two murders, but because of his direct connection with Viktor Medvedchuk, a “Putin’s crony” and “Moscow’s Trojan horse,” as they call him in Ukraine. According to the Ukrainian media, Taras Kozak’s career takeoff dates back to 1993, when he took up the post of a low-profile inspector at Lviv Tax Service. Local journalists recall Medvedchuk’s future confidant was already engaged in blunt racketeering. He would raid Lviv markets and take under his corrupt control the city’s small and medium-sized businesses. In a few years, Viktor Medvedchuk’s brother, Sergei Medvedchuk (Lviv Mayor at that time who later became the first deputy chief at the regional tax agency) noticed the man. In a while, Taras Kozak was appointed head of the Western Regional Customs Office, which couldn’t have happened without a certain intervention by Viktor Medvedchuk (who had become the chief of the presidential staff by that time) and his brother. Since June 2004, Mr. Kozak jumped even higher, being entrusted the post of a deputy head of the State Customs Service. During his tenure on a rather lucrative position, Taras Kozak dove into embezzlement schemes, received major bribes for the streamlined cross-border flow of motor vehicles and other smuggling operations (of which Ukrainian law enforcers collected enough evidence from his subordinates). Moreover, Mr Medvedchuk’s partner and friend was so afraid to be robbed by his own entourage that he set up at customs checkpoints the infamous “Customs patrol” teams, special observers tasked with ensuring that all shadow money flows are channeled directly to him. “We collect $30,000–80,000 from each checkpoint per a 12-hour shift — it all depends on the number of vehicles. It’s 60 shifts a month. You can multiply, right? Let’s multiply 60 by 60. How much is that? That’s right, it’s $3.6m!!! In cash!!! Every month, at the lowest cost,” one of Kozak’s men from the Shegini checkpoint told a Ukrainian investigative journalist. With the complicity of Mr. Kozak, whom his subordinates called the “teacher,” his brother, Bogdan, who had already opened a business with Sergei Medvedchuk, had a green light to smuggle anything through Ukraine’s western border — both from and to Europe. Some crazy contraband flow, indeed. In general, during Mr. Kozak’s rule, his customs department was seen as the most corrupt one in Ukraine. According to our Ukrainian sources, even Leonid Kuchma, a Ukrainian President at that time, who was under the clear influence of his administration chief, Viktor Medvedchuk, could not stand this anymore and ruled to dismiss Taras Kozak. It was at then when Mr.Kozak fell in love with expensive aircrafts. His first acquisition was the Yak-42, for which, according to the Ukrainian investigation, the two Kozak brothers, Taras and Bogdan, avoided paying taxes due. The repair works were done in the Russian city of Smolensk. The fraudulent deal was concluded through Kerambud, a company co-owned by the Kozak family (Taras Kozak’s brother Bogdan and Viktor Medvedchuk’s brother Sergei). The same company, “with the help of shadow schemes, purchased for almost nothing the lands owned by the Ministry of Defense of Ukraine, thereby inflicting significant damage to the state,” as the Ukrainian MP Kendzior later wrote in his appeal. Yak-42 aircraft cost $2 million, but this was by no means Mr. Kozak’s most expensive purchase. In 2008 (after the criminal case was closed), Mr. Kozak acquired a Gulfstream G150, the most expensive business jet of its type. The price tag reached nearly $10 million at the time. He would use it to fly to work from Lviv to Kiev every week, and sometimes every day. Today, according to the information available, Mr. Kozak is also an owner of another top jet. This time it’s the Gulfstream G450 (reg. No T7BRG). Like the previous aircraft, this one is not officially listed as Taras Kozak’s property. However, since 2017, when this jet “settled” at Kiev “Zhuliany” airport, Taras Kozak has been its main passenger, according to the airport staff. Now this plane is estimated at a staggering $40 million. However, the most interesting part of the story is that the jet often flies to Moscow and back. In 2005, a criminal case was opened against Taras Kozak in connection with the attempted murder of the Ukrainian MP Pysarchuk. The reason for the attempt was the desire to gain control over the Lviv market. It was then when the probe into Yak-42 purchase was launched. 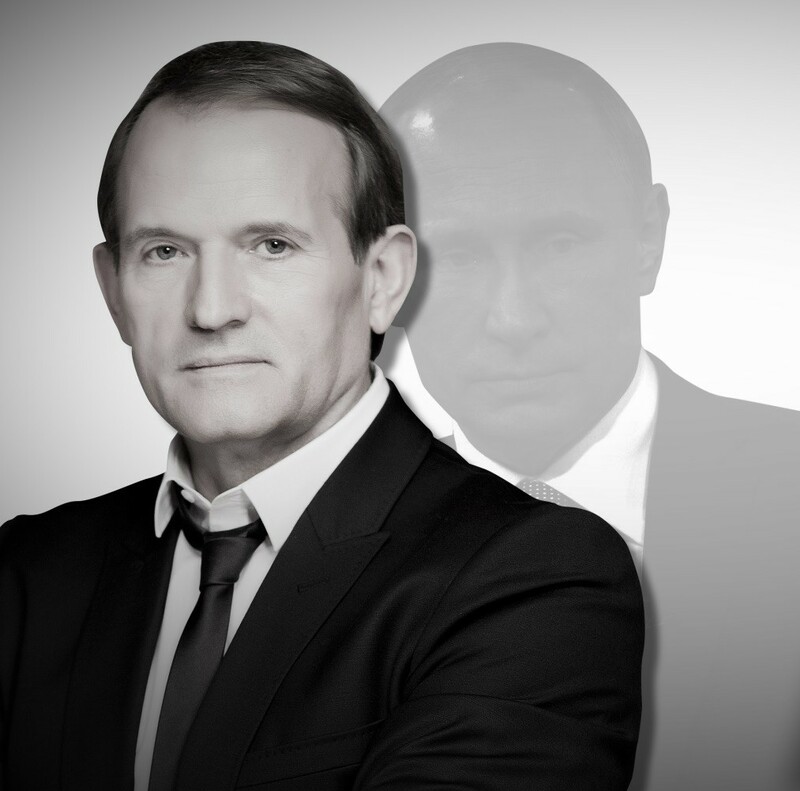 For some time, Kozak was hiding from the investigation, but in 2006, Mr. Medvedchuk’s friend and close associate went to the elections as part of the Natalia Vitrenko Bloc, directly connected to and funded by the Russian intelligence. The same party also included the owner of the Kiev-based Premier Palace Hotel, a mob boss Maksim Kurochkin. After Mr. Kurochkin was gunned down by a sniper as he was leaving the courthouse, it was an FSB general and Putin’s confidant Alexander Babakov who took up ownership of the hotel. Later, after the appointment of Viktor Yanukovych Ukraine’s Prime Minister, Mr. Kozak was reinstated on his post of the deputy head of the State Customs Service to go back to his old fraud and corruption schemes. However, shortly, in 2010, Kozak was elected a deputy to Lviv Regional Council. Then he tried to get into the Ukrainian parliament, choosing for himself the constituency native to his relative, Oleg Salo, the regional governor at that time. Incidentally, both men had been involved in the mentioned Pisarchuk case. Taras Kozak simply tried to buy votes, but to no avail: people were happy to accept his “gifts”, but then they turned their backs on him and supported another candidate. In 2014, Viktor Medvedchuk’s friend and partner finally gets into the Ukrainian parliament as a member of the Opposition Bloc. It becomes clear that Taras Kozak is Viktor Medvedchuk’s confidential clerk in this political project. It should also be noted that earlier, Mr. Kozak also worked as Deputy Chair of the “Lawful State Center,” personally headed by Mr. Medvedchuk. Taras Kozak’s Crimea dealings are also something to look into. After all, Viktor Medvedchuk sticks to the position that Russia’s so-called referendum held on the peninsula as well as Crimea’s annexation was legal. MP Kozak’s assets declaration mentions a 43,636 sq.m. land plot in Crimea’s resort city of Yalta. It is estimated at UAH 17.397m (nearly $615,000). Its formal owner is a third party, LLC Dobrobut-Invest. The same company also owns an unfinished building of Yalta resort facility. Despite the third party being an owner, the declarant, that is, Taras Kozak, enjoys full rights to receive income from the facility’s operations and perform any actions a direct owner can. Moreover, the same declaration states that Mr. Kozak is the ultimate beneficiary of Dobrobut-Invest LLC. The company was registered on January 23, 2001. Its main activity, according to the articles of association, is “recreation and entertainment” which is a rather vague definition. Its authorized capital is UAH 25 million (almost $884,000). However, the address of its founder is listed in Cyprus. It’s JSC Hakail Limited, which ultimate beneficiary is Taras Kozak. Moreover, the same Dobrobut-Invest LLC is also registered in Russia. In 2017, its net profit amounted to RUB 10 million (around $152,000). This means that one of the Ukrainian MPs continues to do business in the Russian-annexed territory, that is, he has been paying taxes to the state, which has unleashed war against Ukraine and occupied part of its territory in the country’s east. However, he has been doing this with great caution, via offshore firms. There is a bunch of them at his disposal: Turul Investments Limited (Cyprus), Hakail Limited (Cyprus), Revelon Investments Ltd (British Virgin Islands), Migover Trading Ltd (Cyprus), Havanor Management Limited (Cyprus), etc. Let’s just say, this makes up a huge chunk of work yet to be done by investigative journalists probing money laundering and legalization abroad of funds obtained in the post-Soviet countries by illegal means. Also, according to the Ukrainian media, Mr. Kozak occasionally visits the Russian-annexed Crimea, also keeping a low profile. Viktor Medvedchuk’s business is registered on his wife, Ukraine’s top TV presenter Oksana Marchenko. This is due to the U.S. sanctions imposed against him. In a recent interview with his own News One TV channel, Mr. Medvedchuk acknowledged and confirmed the fact revealed in the journalists’ investigation about his companies, which Oksana Marchenko owns today. It should be recalled that recently it has become known that Oksana Marchenko owns a company that was granted the right to develop the Gavrikovskoye oil field in Russia. This is one of the country’s three largest fields with reserves exceeding 40 million tonnes. As some Russian liberal journalists in Moscow say, Vladimir Putin never gives such master gifts for no particular reason. In addition, Mrs. Marchenko is also the ultimate beneficiary of at least ten companies that are engaged in real estate and construction, agriculture, wood supplies, engineering research, finance, media, and show business. One of these companies is Sport-Tour, which is one of the co-founders of another company, Tavria-Sever, above which the Cyprus offshore structure stands, that has acquired a share in that very Gavrikovskoye field. So that’s how the scheme works. It is also worth noting that MP Kozak since 2013 has been renting a 609 sq.m. mansion at Sport-Tour, the ultimate owner of which is Oksana Marchenko. It’s necessary to recall the common business of Taras Kozak’s brother, Bogdan, and Viktor Medvedchuk’s brother, Sergei. They own the previously mentioned Kerambud, the very company used to purchase that Yak-42 aircraft for Taras Kozak. According to the Ukrainian media, the company owns a site for the extraction of sand at the Velikopilskoye field in Ukraine’s Lviv region. The company has been granted a special mining permit valid until 2034. The company also extracts clay and loam at another two deposits in Gorodetsky district of the same region — in the Vostochny (16.5 ha) and Zapadny (22.2 ha) fields. In the Zapadny area, it is Kerambud’s subsidiary, Enei, which is engaged in mining. At the same time, despite the fact that Viktor Medvedchuk’s business was registered on his wife, Oksana Marchenko, the Kozaks family has long been in charge of managing all of the assets, including such major ones as the Glusco gas station network. Glusco (LLC Glusco Ukraine) and Lisichansk Oil Refinery, owned by Viktor Medvedchuk via a front man, Nisan Moiseev, are one of Mr.Medvedchuk’s largest assets in Ukraine. It is interesting that, Glusco is itself a front company because before the start of Russia’s armed aggression against Ukraine in 2014, the Russian state-owned Rosneft Corporation owned a gas stations network (TNK, Zolotoy Gepard, and Formula), which today is united under Glusco brand. Thus, Rosneft has once again changed the company brand in Ukraine to cover up its activities into the Ukrainian territory to avoid sanctions and continue to gain profit. Moreover, the Russian corporation (through Glusco front company) continues to supply to the Ukrainian market its petroleum products, which are sold including through the said gas stations network. So who is Viktor Medvedchuk in this scheme? Just another cover for the Russian capital used to directly finance both military operations and other subversive activities in Ukraine. Glusco Energy S.A. was officially registered in Switzerland (Rue De-Candolle 14, 1205 Geneva) in 2013 as a subsidiary of Proton Energy Group S.A. (Place de I’Universite 4–6, 1205 Geneva). It trades in raw materials, cereals, and vegetable oil. The Ukrainian subsidiary, Glusco Ukraine (Solomenskaya Str., 11, Kiev, 03110), deals mainly with exclusive deliveries to Ukraine of Rosneft-produced LPG of approximately 400,000 tonnes. It also supplies annually nearly 1 million tonnes of diesel fuel through a pipe laid to Novograd-Volynsky, receiving approximately $20–30 of profit per tonne. In general, Viktor Medvedchuk owns a whole bunch of companies integrated into this Russian scheme, supplying and selling light petroleum products, including Optimus Oil LLC, Anvitrade LLC, Terminal Oil LLC, Martin Trade LLC, International Trading Partners AG, and others, as well as the aforementioned Glusco Ukraine LLC, managed by Taras Kozak and his common-law wife Natalia Lavrenyuk. Also, these firms’ activities are very closely connected with the smuggling from Russia of petroleum products and LPG, in which Orange Oil and Triton Fuels Ukraine are directly engaged (both companies are covered by Mr. Kozak’s responsibility). But let’s look at the already mentioned front man, the so-called owner of Glusco, Nisan Moiseev. As we have already noted, he “owns” the Swiss company, Proton Energy Group, which subsidiary in 2016 acquired from Rosneft a network of about 140 gas stations. Since 2016, Proton Energy Group S.A. has been supplying to Ukraine Rosneft’s diesel fuel. We have already mentioned this fact. This is done via a 1,433 km-long Samara-West pipeline, which passes via Ukraine to Hungary. However, there is one thing that needs to be mentioned… The pipe itself, which until 2016 belonged to Russia, is now owned by another Swiss company, International Trading Partners AG. It belongs to Anatoly Shefer. In 2015, Anatoly Shefer received from the Russian anti-monopoly committee a permit to purchase a part of Samara-West petroleum products pipeline passing through Ukraine (SE PrikarpatZapadTrans), while Transneft, a Russian monopoly managing all of the country’s oil trunk pipelines, sold the pipe (100% the shares of Transnefteprodukt OJSC, which includes SE PrikarpatZapadTrans) to that very Mr.Schefer. As Ukrainian media previously reported, it is Viktor Medvedchuk who stands behind Mr.Shefer and International Trading Partners AG. Based on the Ukrainian journalists’ investigation, the link between Medvedchuk and Shefer is Taras Kozak. So, we may assume that in this scheme, Mr. Kozak is the one tasked with negotiating with the Ukrainian customs authorities in Western Ukraine. It becomes obvious that, given his previous corrupt operations in the region and the remaining connections, this is quite an easy task for him. The problem is that another very high profile player since the times of the disgraced ex-president of Ukraine, Viktor Yanukovych, is a fugitive oligarch Sergei Kurchenko, who settled in Moscow and who, as the Ukrainian and Russian media say, has ties with the Russian FSB. It was with him that Viktor Medvedchuk organized the business scheme for the supply of Russian diesel fuel under the “disrupted transit” scheme — that’s when the target products set to be supplied to Hungary illegally “remain” in Ukraine and end up at Ukrainian gas stations. In addition, reports say there are other schemes for the supply to Ukraine of Rosneft’s petroleum products, in which Viktor Medvedchuk’s companies are complicit. Thus, according to the Russian oil and gas analysts, in September of this year, the production planning and deliveries department at Rosneft submitted to the export control department of the Federal technical and export control service the end-user lists and data on volumes of petroleum products to obtain a permit for their supply in the interests of Ukrainian companies. At the same time, the buyer of these petroleum products from Rosneft is the Swiss-based ITC Industry Trading Company SA, while the end consumers are 26 Ukrainian companies. As journalists note, it appears that Mr. Medvedchuk’s trips to Russia are not at all accidental and it’s not the issues of political prisoners’ release that he deals with. Instead, it appears he receives new instructions and negotiates his benefits in the framework of new and old illegal business schemes. This explains why there are always two more people accompanying him at these Moscow meetings. It’s Taras Kozak and Nisan Moiseev. Meanwhile, Mr. Medvedchuk uses the funds obtained from smuggling in petroleum products and LPG, as well as part of the profits from the operations of Glusco and a number of other companies — front and legal ones — to finance political and radical movements and individual politicians in Ukraine, including such as Vadim Rabinovich, as well as to launch information campaigns and shape up public opinion through his media assets, all in the interests of the Kremlin and its destructive policies toward Ukraine.